New development at 1 Franklin is releasing three commercial condos for sale instead of pursuing the traditional leasing route. 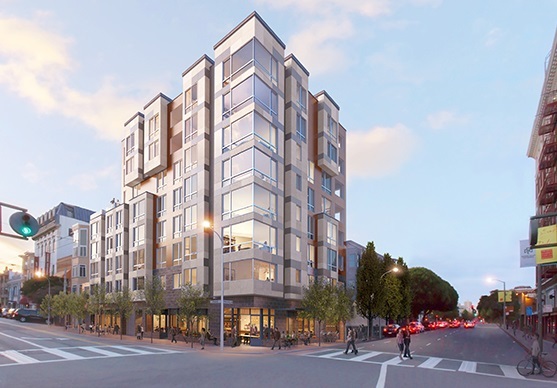 The bustling intersection of Franklin and Page in the hip and happening Hayes Valley neighborhood has something exciting to offer local business owners, the opportunity to own a quintessential piece of San Francisco. 1 Franklin is on a very instrumental corner which connects Hayes Valley with Mid-Market and the many new high rise developments that are coming soon, including the Honda and Goodwill development sites that each boast 30-stories. Urban Group Real Estate has seen an increase in local businesses looking to purchase instead of lease. Cornejo added, “many local business owners would rather be property owners and not tenants so they can remain in their neighborhood long term.” 1 Franklin will provide that opportunity.